I’m almost out of money… so back to work. I start a new development contract in SOHO Monday. I expect it will be quiet on the blog for a few weeks. Once I’m in the new rhythm, I hope to make it to the lab a few times a week. This technology is currently offered commercially by Arcam AB. EBM fabrication is rather amazing. It can make fully melted metal parts from STL files. I am planning to build the superconducting polywell in titanium using Arcam’s process. 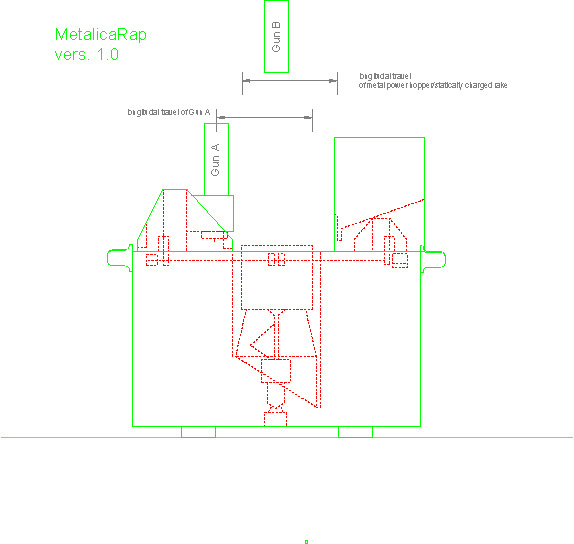 It would be amazing to eventually have a Makerbot for metal. Additionally the EBM device itself has much in common with a fusion reactor. Both use high vacuum, electron beams, high voltage. I’d be happy to help this project with any vacuum, high voltage questions. I had a real leak, and possibly a virtual leak. See the break in the groove? My knife edge has a small ding. But it’s no problem as long as you tighten the conflat enough. There are 20 bolts on these conflats, it’s easy to accidentally skip one or more. Pretty proud of this one actually. I’ll cut those channels on the bolts today. Last week I mentioned I would start taking smaller steps. Turns out to be a good strategy. My small step is investigating the coil former’s outgassing. I fixed this leak with a fresh gasket. Now I don’t hear any leaks. Either I have a small quiet leak or the coil formers are outgassing like crazy. I’m going to let the pump run overnight. If outgassing is the culprit it will abate with time.